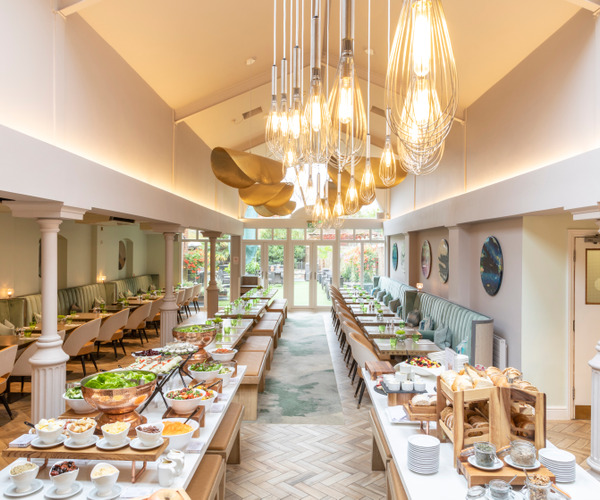 Set along the banks of the River Hiz on 150 acres of Bedfordshire countryside, Champneys Henlow is a health and beauty spa resort just an hour from London. The Georgian-style mansion embodies a late 18-century aesthetic, with upholstered furnishings, hand-painted interiors, and Venetian mirrors, and remains true to its 40-year history as a health farm, offering guests a wealth of fitness and pampering pursuits. The on-site spa offers original holistic and beauty services that date back to the spa's conception. Guests can also unwind in the hydropool, laconium, and steam room or work out in the gym, tennis court, or swimming pool. All stays at the 71 room country retreat include healthful meals, select spa amenities, use of the all resort facilities and daily programming of classes and activities. Modern spa interiors mix with classic Champneys services such as the signature Wax Bath, consisting of a paraffin wax application and warm body wrap. Specializing in holistic and beauty treatments, the spa offers massage, facials, body wraps and scrubs, and slimming and sculpting therapies using Champneys, Babor, Bare Escentuals, and Elemis products. Alternative treatments include acupuncture, ear candling, hypnotherapy, reiki, and colonic hydrotherapy. A selection of short- to several-day programs designed for weight loss, stress management, sleep improvement, and smoking cessation are also available. Guests can complement their stay with a visit to the thalassotherapy pool, and alternate between sessions in the sauna and herbal steam areas. Additional spa amenities include the Rasul Mud Chamber, which combines purifying muds with therapeutic steam. The River Hiz and lush Bedfordshire grounds provide a picturesque backdrop to many of Champneys Henlow's leisure and recreational activities. Guests can take a dip in the indoor swimming pool and Jacuzzi or hit the court for a game of tennis. Biking and power walking classes lead guests throughout the 150-acre property, and the full-service gym features LifeFitness and VibroGym equipment and two studios. Fitness options range from invigorating circuit training, dance classes, and water aerobics classes to more tranquil yoga, tai chi, and meditation sessions. Guests can stroll the nearby country villages of Harrold and Stevington or pay a visit to the Dunstable Downs, the highest point of Bedfordshire county. The Downs is a popular spot for hang gliding, paragliding, and flying kites and is home to ZSL Whipsnade Zoo, which is among the largest wildlife conservation parks in Europe. Champneys Henlow offers a variety of accommodations, ranging from standard rooms to spacious suites. 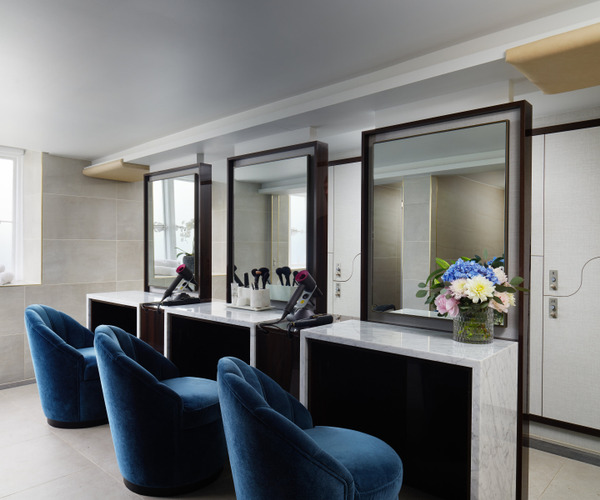 All rooms come appointed with an en-suite bathroom, a colour TV, a DVD player, a refreshment tray, bathrobes, and Champneys products. Some rooms provide patios overlooking garden views. At Spa Restaurant, guests can enjoy nutritious, gourmet fare that is high in fibre, and low in saturated fats, salt, and sugar. Breakfast and lunch are served buffet style, and dinner comprises a three-course meal. Light, vegan, and vegetarian dishes are available, kosher diets can be catered for upon request for an additional cost, (four days notice is required). Healthy snacks are also available at the resort's coffee bars throughout the day. The restaurant has an informal atmosphere, with a common table and views of the pool. Guests are invited to dress in their robes for breakfast and lunch, proper attire is requested for dinner. There is also a private dining room and a coffee bar, open daily.